I'm writing to inform all of you of some great things taking place within CarProof. The company was founded over 14 years ago and the future for both CarProof and our industry has never looked brighter. This hasn't always been the case. CarProof was created when the lack of transparency in our industry caused unknowing buyers to transact with dubious sellers without full visibility into what they were actually buying. 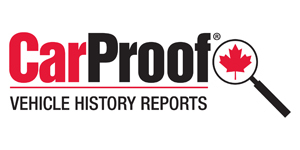 The birth of the CarProof report used by Alberta Registry Agents was our first foray into delivering a vehicle history report in Canada in 2004. By the beginning of 2005, both Manheim and ADESA auctions across Canada had the foresight to make the accompaniment of a CarProof report mandatory for all auction vehicles imported from the U.S. Offering comprehensive accident data across North America combined with a cross-country lien search and import/export information was groundbreaking at the time. The emergence of virtual online transactions enabling dealers to buy vehicles remotely across the country was fortuitous, as it led dealers that used our reports as a buying tool to use it as a selling tool to establish trust and transparency with their buyers. Around that time, ADESA’s Lisa Scott and Manheim’s Brad Hart commented on a panel that “to CarProof a vehicle will become a verb and the visibility provided by CarProof vehicle history reports will transform our Canadian industry.” After that, we were off to the races. The confidence and trust created by providing full transparency within the industry allowed buyers and sellers to transact from east to west, and from north to south and all points in between. As you know, we have relentlessly added new and innovative data sources and are in constant pursuit of unique accident data. I’m honored by the fact that today the substantial majority of all used vehicles that change hands yearly in our country are accompanied by a CarProof report. Our obsessive desire to build a product that enabled trust and transparency in an industry that I personally love and feel passionate about has made this journey so rewarding for me. Driving a new industry standard is not easy. It requires great partners to share a common vision and shared belief in what is in the best interest of the industry. This extends to every manufacturer’s captive lending arm now running a report on all off-lease vehicles, to forward thinking dealers that were early to embrace transparency and to the North Toronto Auction for leading the way to what is today the industry norm of making it mandatory for a CarProof report to accompany all vehicles offered for sale at auction. It now brings doubt when a vehicle offered for sale anywhere in Canada has anything but a CarProof report. I want to thank everyone that has supported CarProof on this journey; our amazingly dedicated employees and leadership team, our loyal customers and our aligned industry partners. The next chapter of CarProof will continue to focus on driving trust and transparency in the automotive ecosystem to add value to our customers. This will be even more important over the next decade as more and more transactions move online. CarProof is fully committed to launching next generation products that will once again change the way cars are bought and sold. Our strategic plans are lofty and to succeed it will take a lot of investment, hard work, strong partnerships, dedicated employees…and a little luck. I’ve realized the size, complexity and speed at which CarProof must operate to be successful in this new paradigm will bring new challenges. I’ve been so lucky to have led this tremendous company in an industry I love and have grown up in. The opportunity that sits in front of CarProof is enormous – we plan to leverage our best-in-class data sets to provide insight through unique information via new products and services to all in the automotive ecosystem. As a patron of CarProof in this journey, I realize that the skill sets required to lead us up to this point will not necessarily be the same as the ones required to lead us into the next chapter. With that said, it seems to me to be the ideal time to transition out of the CEO role and into the role of Chairman, providing strategic vision and insight to the company while stepping out of the day-to-day operations. It is my privilege to announce that I have selected Ed Woiteshek as my replacement. Please help me in welcoming him to the family. I’m confident Ed will carry on the culture of what we have built at CarProof. As background, he has spent the last 10 years as a senior investment professional at Hellman & Friedman (“H&F”), a world-class private equity firm based in San Francisco. H&F has a storied history of investing in people-oriented franchises with an unmatched track record in information services, digital media, automotive services and insurance. Current and former H&F companies that you may know of include HUB International, Applied Systems, Mitchell International, Scout 24, Autodata Solutions, ABRA Auto Body & Glass, CarProof, DoubleClick, Catalina Marketing and even Formula One. Over the last five years, Ed has conducted extensive research on every major automotive asset in the digital media and information space in North America and Europe. He has deep experience helping companies build and drive valuation creation plans both as an active Board member and as an operator. While at H&F, Ed led the purchase of a minority share of CarProof and has been on our Board of Directors for the last 14 months. I have really enjoyed getting to know him both personally and professionally. His knowledge of our company and of the industry we operate in is impressive. The value Ed has brought in the boardroom the last year has been immense and I realized earlier this year he was the leader I wanted to take CarProof to the next level. Of course then I had to convince him and his wife to move from San Francisco to London, Ontario – but that is a whole other story! I look forward to introducing Ed to each of you personally over the coming months to strengthen our partnership and talk about the next chapter. It is important to acknowledge that CarProof is where it is today because of all of you and your belief in our shared vision. We do not take any of our relationships with you lightly. The tremendous gratitude I feel toward all of you in helping me make CarProof the industry standard that it is today is beyond words. I thank you all from the bottom of my heart and ask for your continued support in this next chapter. It has been an honour to be a part of your business and I look forward to serving you from a different vantage point within CarProof. I want to also note that the rest of the CarProof leadership team and your immediate CarProof contact will stay the same with a dedicated effort to offer you best-in-class service and support.